Michael Simmelsgaard, Head of Offshore Wind at Vattenfall, and Zbigniew Gryglas, chair the offshore wind energy committee in the Polish Parliament, speaking at the 28th Krynica Economic Forum in southern Poland said that strong fundamentals will drive the deployment of offshore wind turbines in the Baltic sea. “With its strong and steady winds, relatively shallow waters and less extreme sea conditions, the Baltic sea is expected to be the second European offshore wind basin, with 9 GW of offshore wind by 2030,” Mr. Simmelsgaard said, adding that the dramatic reduction in technology costs in recent years had made an already efficient supply chain a key element in making competitive bids in offshore wind auctions. “Poland’s existing supply chain (already producing cables, steel towers and offshore substructures for neighboring markets) stands to benefit greatly,” he added. WindEurope’s Pierre Tardieu noted that the industry was very encouraged by the Polish TSO’s announcement earlier this year that, by 2026, the grid would be able to accommodate 4 GW of offshore wind. He noted that European countries were due to finalize National Energy and Climate Plans to 2030 and that the run-up to COP 24 in Katowice, Poland, would be the ideal moment to commit to offshore wind volumes in Poland. Mr. Gryglas concluded the discussion by insisting Poland could beat expectations and deploy 6 GW of offshore wind by 2030, overshooting WindEurope’s central scenario. He noted that Poland’s rising energy demand required investments in power generation and stressed the job creation and energy security potential of deploying offshore wind. “Citizens and businesses require clean air and a stable and competitive energy supply,” said Mr. Gryglas. There are about 4,000 offshore wind turbines in EU waters. 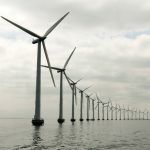 The North Sea produces 72 per cent of the continent’s wind electricity, while turbines in the Irish Sea and the Baltic Sea contribute 16 per cent and 12 per cent, respectively. 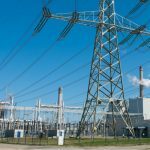 The Polish electricity transmission system operator PSE said as much as 8 GW of offshore wind capacity could be installed in Poland, with 4 GW of it operational by 2026/27. Poland is aiming to meet its EU commitment of 15 per cent of renewables by 2020. According to a 2016 McKinsey & Company study, the development of 6 GW of offshore capacity in Poland — the 2030 target set by the Polish Wind Energy Association (PWEA) — could create 77,000 new jobs and contribute about PLN60bn (EUR14.1bn) to the economy. By diversifying sources used to generate power and incorporating offshore wind, Poland may be able to reduce the share of coal in its energy mix even below the 60 per cent currently expected by the government in 2030, Monika Morawiecka, PGE’s director of strategy, said. PGE wants to invest billions of PLN in the construction of wind farms in the Baltic Sea by 2030 and have production capacity of 2.5 GW. “The costs of green energy technologies are falling all the time. They start to be competitively priced in relation to such sources as gas or coal. In Poland, the costs of raising capital for such investments are still higher than in the West, but these differences are gradually decreasing,” Ms. Morawiecka said. 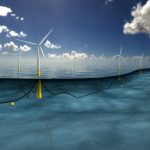 Norwegian energy firm Statoil is buying 50 per cent stakes in offshore wind projects totaling 1.2GW being developed by Polish energy group Polenergia. Meanwhile, Polish oil refiner PKN Orlen also got into the game this March, launching a tender seeking the development of a preliminary technical concept for up to 1.2GW in wind farms in the Baltic Sea. Poland’s state-run utility Energa is also interested in developing offshore wind farm projects, the head of Energa’s generation unit Piotr Meler said.